Hundreds of dead snow geese have washed up on the shores near Cambridge Bay, Nunavut, and it may be some time before officials figure out what caused them to die. Hundreds of dead snow geese have washed up on the shores near Cambridge Bay, Nunavut, and it may be some time before officials figure out what caused them. 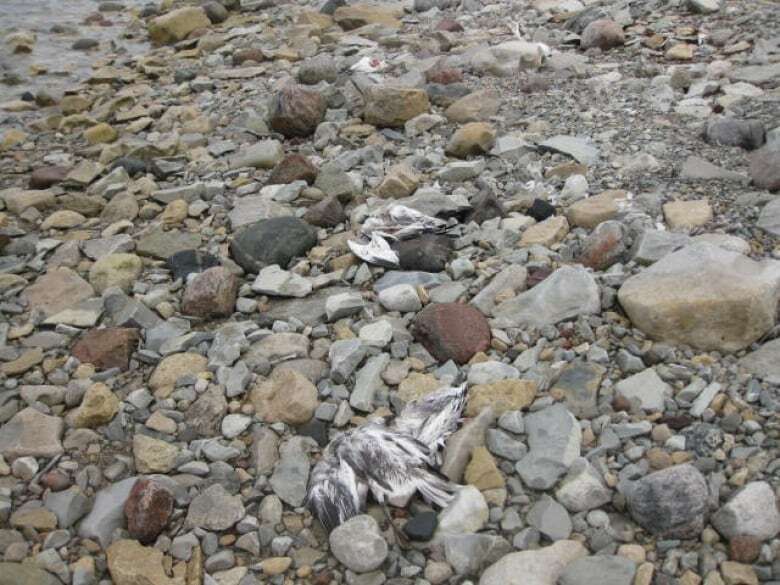 The geese washed up near Long Point, west of the Nunavut community. David Ohokannoak, who lives in Cambridge Bay, drove by the carcasses on Sunday evening on his ATV. "It was just dead geese for about, maybe 20 kilometres of shoreline," he said. "There had to be over a thousand...there was too many to even count. "It's a long drive, so you can see them for that whole drive, you just see nothing but geese. Kind of sad to see." Ohokannoak said most of the carcasses were washed up right on the shore, while a couple were located further away from the coast. Snow geese migrate to the Arctic in massive numbers each summer. In past years, they have been known to devastate large areas, travelling in the millions. An official with the Government of Nunavut directed CBC to Environment and Climate Change Canada, saying because the birds are migratory, they're the responsibility of the federal government. In an email to CBC, a spokesperson for Environment and Climate Change Canada said only that the department is "aware of the situation," and that officials are "following up on the incident and will consider next steps," working with the Government of Nunavut. The official did not provide any information about what the follow up entails or what the next steps would be. David Bird, an emeritus professor of wildlife biology and ornithologist at McGill University, said that while it's impossible to do anything but speculate until tissue analysis is conducted on the dead geese, it's likely that the birds died of disease. "The one I would be leaning toward would be some kind of avian disease," he said. "The very first thing that came to mind was botulism, but that's likely to occur in a partly dried up lake, where there's a buildup of organisms that cause that. "The other one is avian cholera. That's the one...[that} has happened up there in Cambridge Bay. That's one that's a possibility," Bird said. 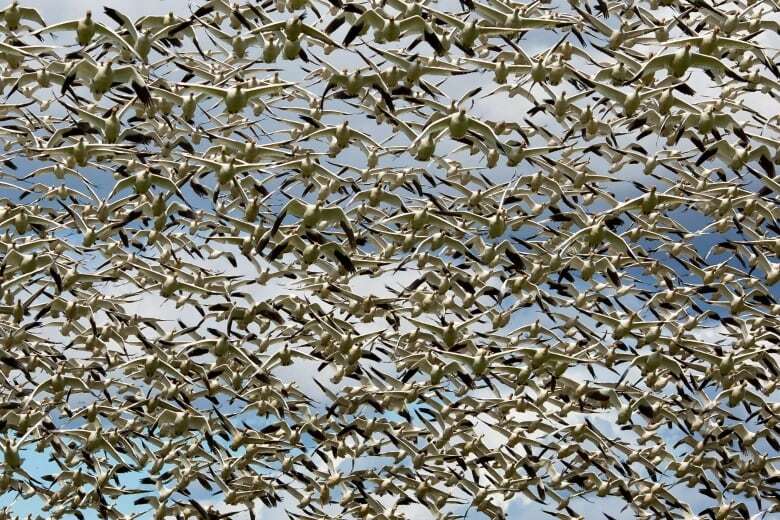 Thousands of migrating snow geese killed by avian cholera in U.S.
"It can wipe out hundreds of thousands to a million ducks and geese all in one fell swoop. It's pretty contagious." Bird noted that there is nothing for locals to worry about if the deaths are caused by avian cholera, as the disease is not transmittable to humans. 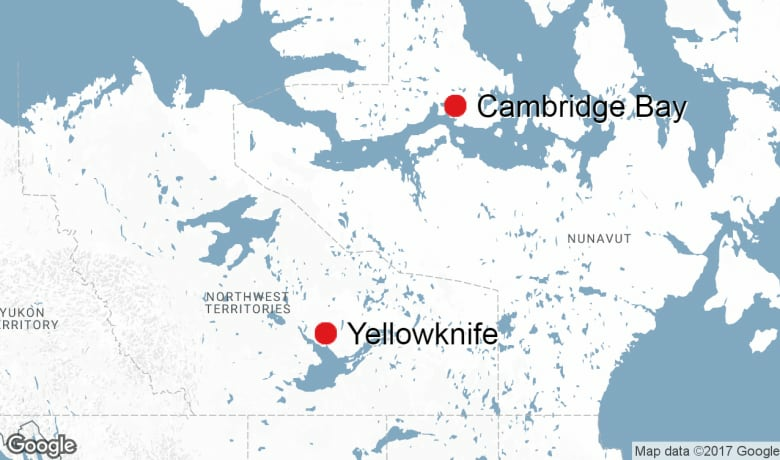 Suggestions from Cambridge Bay residents on social media included starvation, hypothermia, or a lightning strike, all of which Bird said were unlikely. "You don't often hear about several hundred geese dying of mass starvation like that," he said. "I doubt they were killed in a lightning strike. Not an impossible situation, but if there has been a lot of lightning in the area... I suspect there hasn't been." Apart from disease, Bird said the most likely possibility was a "toxic situation," meaning that the birds ingested a toxic substance. "I have to think that's probably not so likely in that large bay up there," he said. "Only because that kind of thing often happens when you have a bunch of geese falling into a small lake or a tailings pond, and ingesting petroleum products and so on." 'Dead Sea': Millions of themisto plankton rotting ashore in Paulatuk, N.W.T.